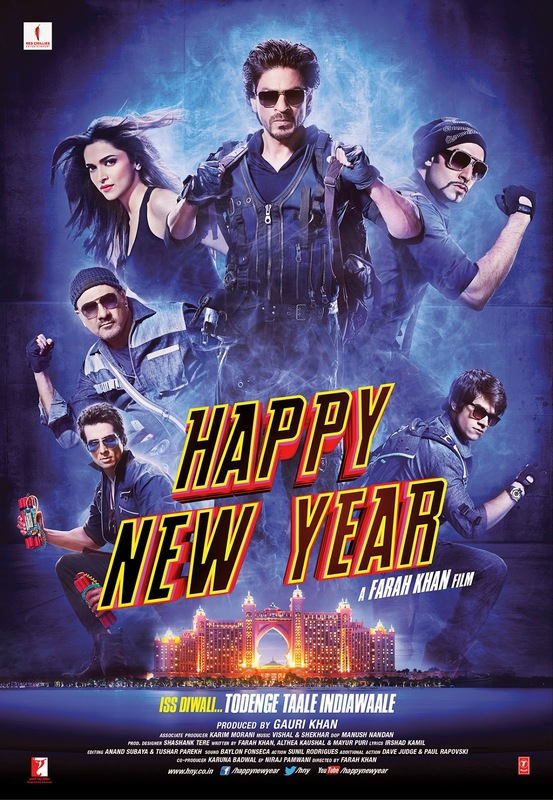 Info : Happy New Year is a 2014 Indian caper comedy film directed by Farah Khan and produced by Gauri Khan under the banner of Red Chillies Entertainment. The film has an ensemble cast which includes Shahrukh Khan, Deepika Padukone, Abhishek Bachchan, Boman Irani, Vivaan Shah, Sonu Sood and Jackie Shroff. The film will be distributed worldwide by Yash Raj Films. This will be the third collaboration of Khan with the director; they previously worked on Main Hoon Na (2004) and Om Shanti Om (2007), the latter of which also featured Padukone as the female lead. The film belongs to a different genre of musical heist.